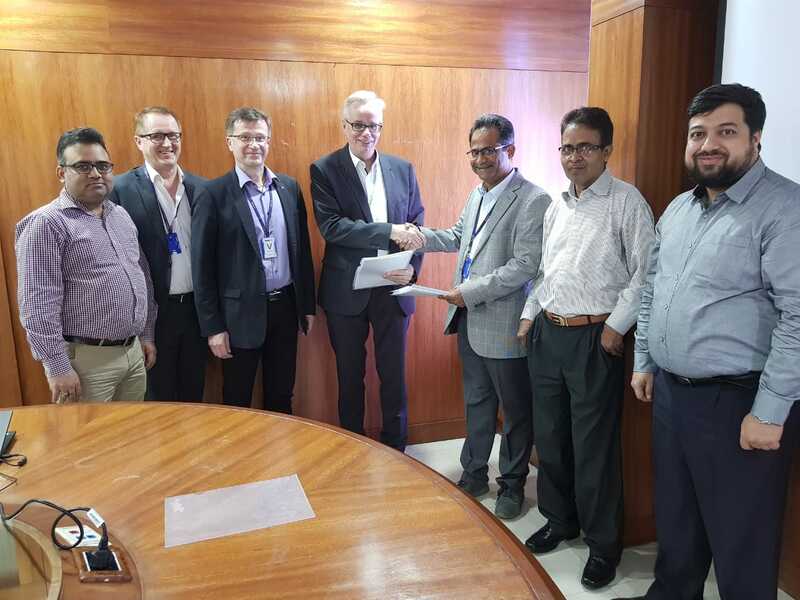 Valmet has made a strategic Value-Added Reseller (VAR) agreement for power generation and process industry automation with Fox Solutions in India. The purpose of the agreement is to strengthen Valmet's local automation customer support in India, the Middle East and Singapore. The agreement was signed in December 2018. Valmet's automation solutions are already well recognized in the power market in India, thanks to its large installed base through its technology partner Bharat Heavy Electricals Limited (BHEL), the largest supplier of power plant equipment in India. The agreement with Fox Solutions will extend Valmet's reach in the market. "The agreement is in line with Valmet's strategy to strengthen the company's partner business in automation in these regions. Fox Solutions has established a strong presence especially in India, but it's beneficial that they also operate in the Middle East and Singapore. Therefore, we see high potential in expanding our automation system business for the power generation and process industries with them as our most recent Value-Added Reseller," says Kari S. Heikkilä, Director, Partner Business, Automation, Valmet. Fox Solutions was established in 1995 and today it has over 400 employees. In 23 years, the company has completed more than 2,000 automation system deliveries, including 500 large projects, to companies from the oil & gas, water treatment, power generation, chemical and other industries. Fox Solutions has executed projects in more than 26 locations across the globe and reports net sales of around EUR 22 million. From left: Amit Rastogi (Valmet), Markku Henttu (Valmet), Matti Miinalainen (Valmet), Kari Heikkilä (Valmet), Joy Aloor (Fox Solutions), Pravin Tripathi (Valmet) and Kaustubh Purohit (Valmet).